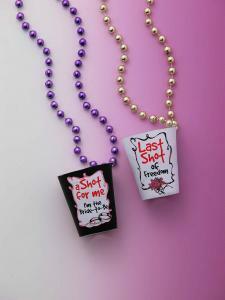 Bachelorette Shot Glass Necklace White. Bachelorette, Bachelor, Rehearsal Dinners and Wedding Reception. As shown on the right side of the image. Black shot glass sold separately. 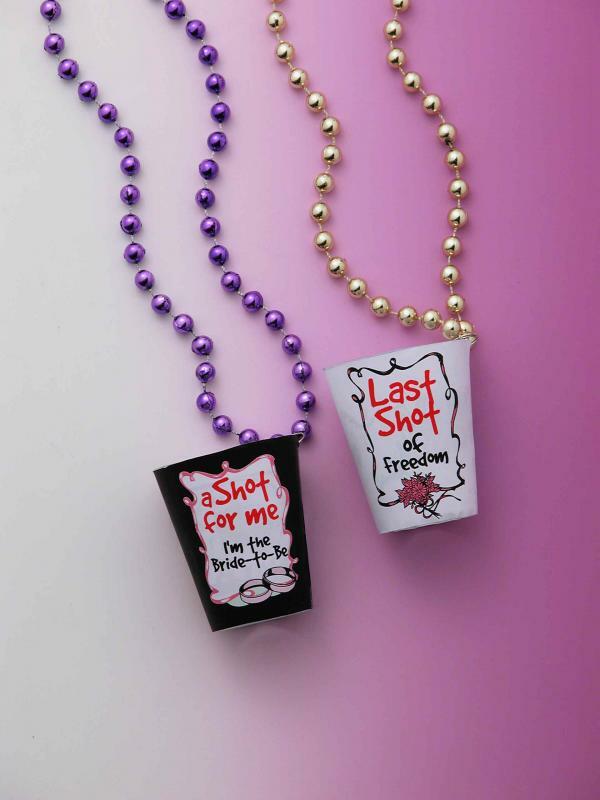 Bachelorette Party supply Last Shot glass with beaded necklace for the bride to be from Forum Novelties.